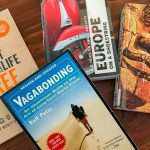 Malaysia was the main destination on our first backpacking trip into Asia with the kids (We had spent almost a day here in Seramban on a stopover earlier, but I don’t count that!). The main purpose of our trip was to visit Simon’s family. Our first stop was Penang, to visit with his Grandmother, who he hadn’t seen for years. Neither I nor the kids had ever met her before. In hindsight our timing could not have been better as she passed away suddenly only weeks later. 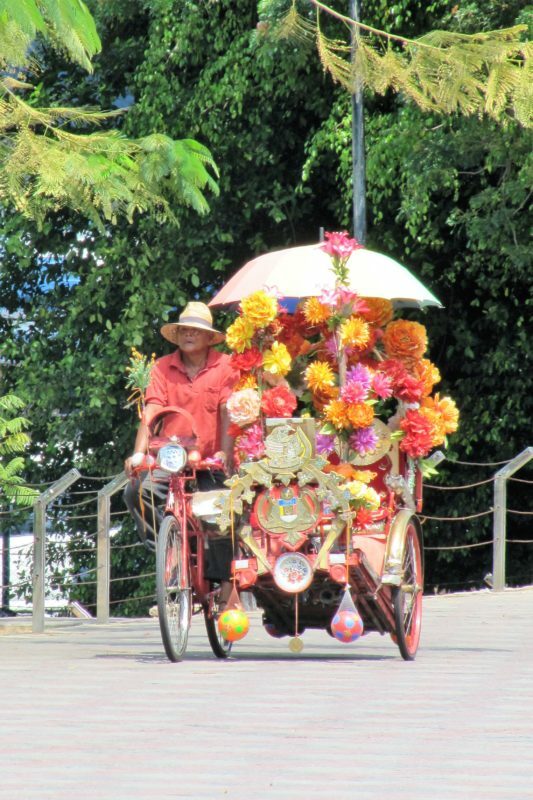 The rest of our trip included Cameron Highlands, Perhentian Islands and Kuala Lumpur. 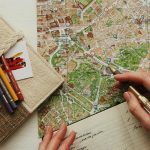 We stayed in cheap accommodation, ate from the supermarket and travelled on public transport. We had a great time. If I ask my kids about their favourite travel experience, I am fairly sure they would say one from this trip. Our next trip to Malaysia was just Simon and I. 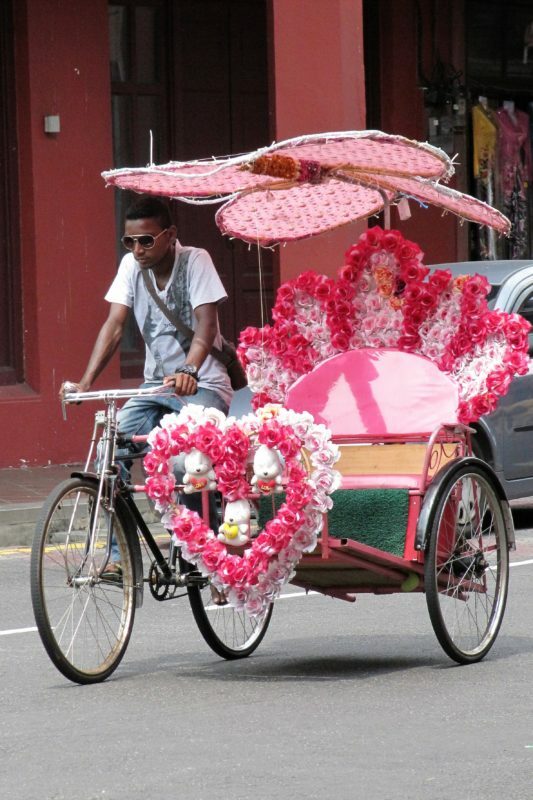 We spent ten days in Melaka, Taman Negara and Kuala Lumpur to celebrate Simon’s birthday. 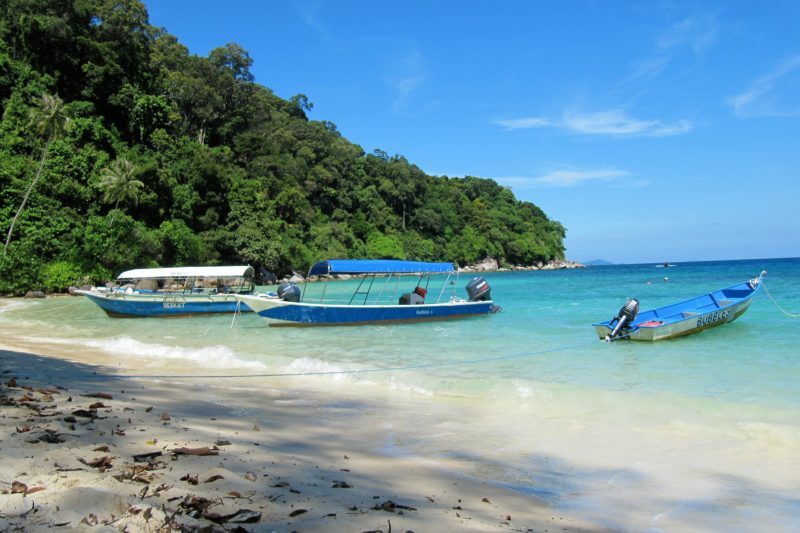 If I had to pick one place to recommend from all that we have seen in Malaysia I would say go to the Perhentian Islands. But it won’t be for everyone! If you are looking for a resort with all the facilities, easy transportation or shopping, this is not the place for you. 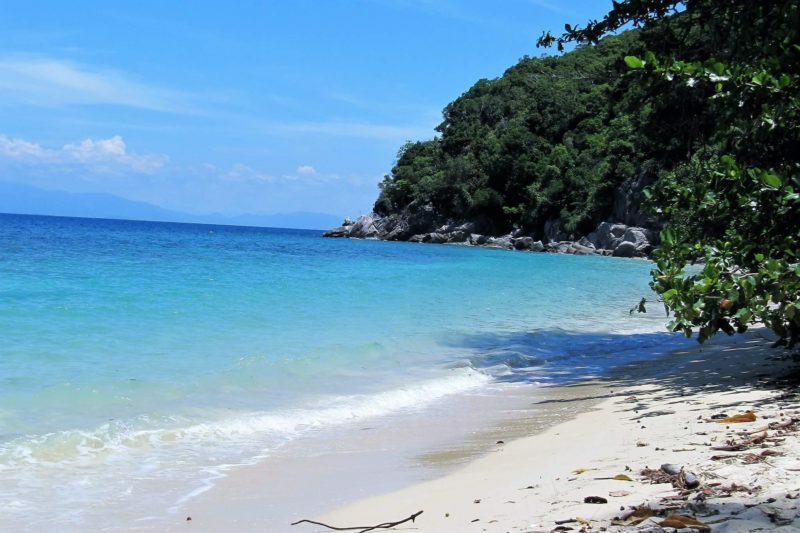 The Perhentians are still quite rustic and a bit of a trek to get to. We endured a bumpy 30 minute ride in a small boat after an hour or so in a mini bus before we were delivered to paradise on earth. 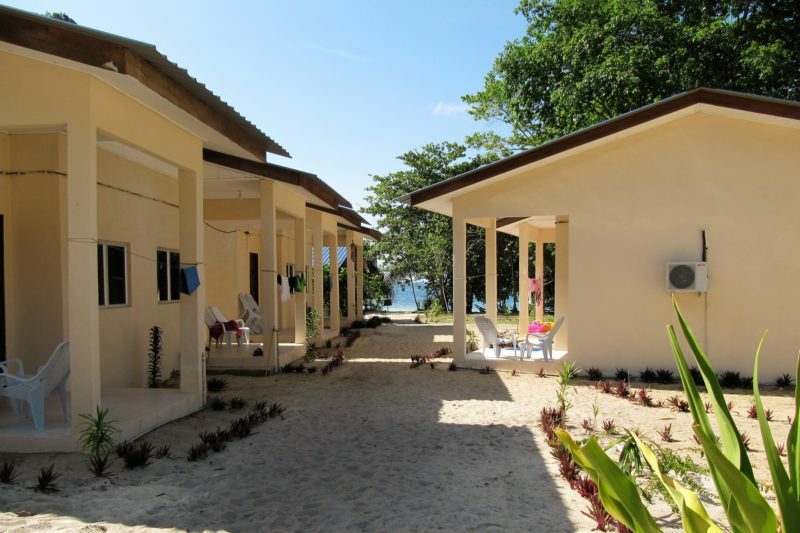 We stayed at Bubbles Dive Resort which is by itself on a secluded beach on Perhentian Besar. The only way to get to or from Bubbles is by boat. The down side to my recommendation is that we didn’t go to other parts of the islands, because it was too good here. The boats that bring you from the mainland. 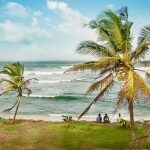 Besides being a dive school, Bubbles is the headquarters of a turtle conservation project studying and teaching about the green sea turtles who nest on the beach. We elected to allow the staff to wake us in the middle of the night if a turtle came up onto the beach to lay eggs so that we could watch. It was awesome to see this amazing event, and to learn about the plight of turtles in Asia. 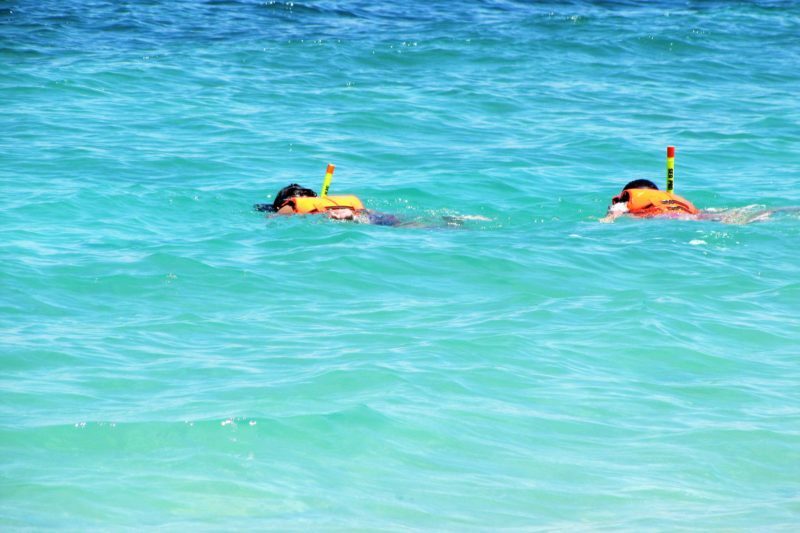 We snorkelled off the beach in front of the resort, where we had already been warned we would likely find black tip reef sharks amongst other fish and coral. Not only did we swim with sharks there, we also went on a boat trip the resort runs, to swim with the sharks out in the deep water, and also with turtles. We didn’t see them, but whale sharks have also been known to come into the little bay. The three days we spent here were just fantastic. 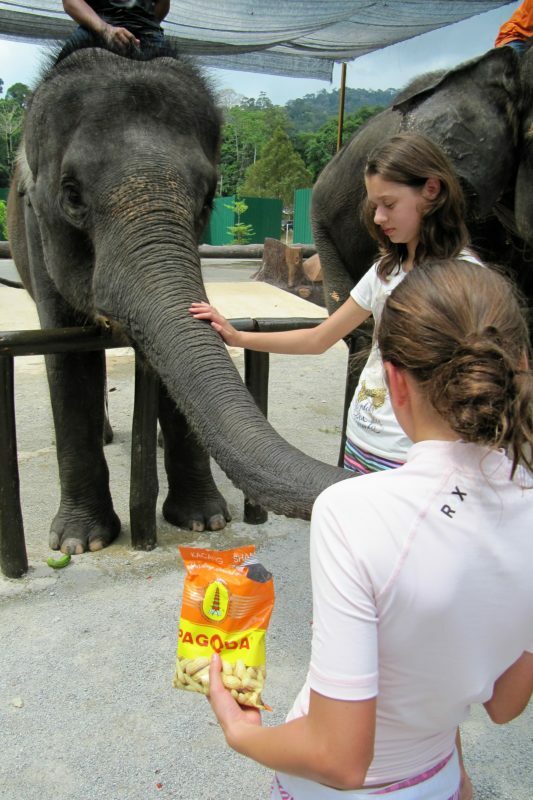 Kuala Gandah is an elephant sanctuary about 2 1/2 hours drive out of Kuala Lumpur. It is possible to spend an afternoon there learning about the rescue of elephants in Malaysia. The alternative – and what I suggest – is to instead spend the day with The Elephant Man. If you google “The Elephant Man Kuala Gandah” you will find information about Zali. He is a volunteer for the sanctuary, and has permission to take some helpers with him each day. We got to spend the day behind the scenes helping out with feeding and caring for the elephants. We also had lunch with a local family. The cost of your tour goes directly to the sanctuary as a donation (less the cost of transport). Conditions at Kuala Gandah were good in 2011, and I would like to think that they have improved further since then. 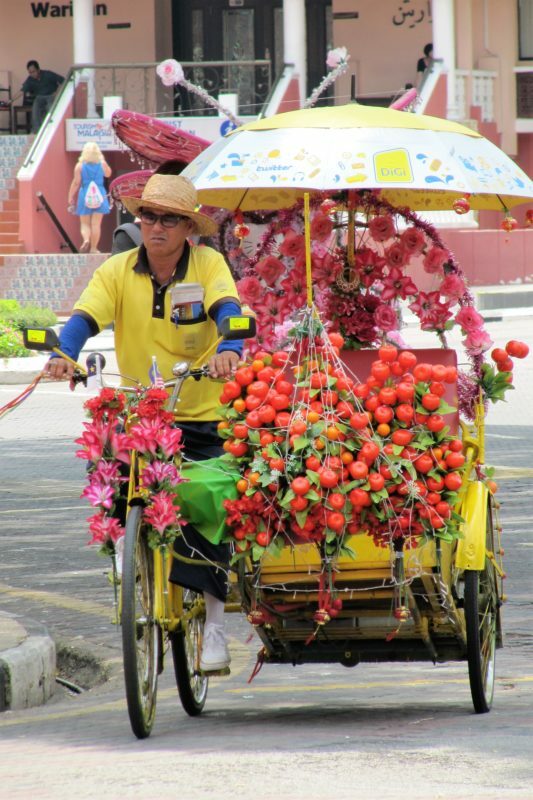 In Melaka you have to take a ride on one of the rickshaws! They are truely a sight! Decorated in the brightest accessories the owners can find you cannot miss them. They are usually themed. Perhaps Hello Kitty, or frogs, or fairies. There also seems to be a competition between the rickshaw drivers to see who has the biggest speakers as they pump out popular tunes at top volume. They even offer wifi as they drive you around so you can immediately upload the crazy photos to Instagram. 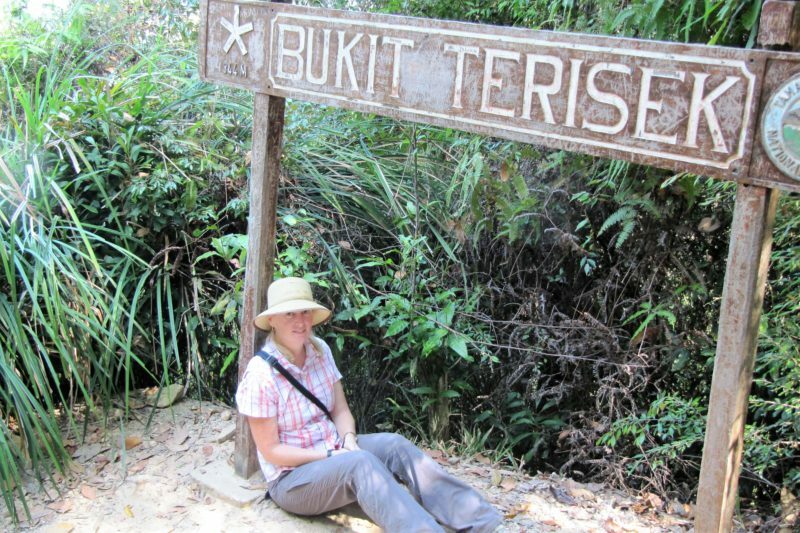 We spent a couple of days in the Malaysian jungle at Taman Negara. Getting there is again half the fun, with a boat trip up the river required. 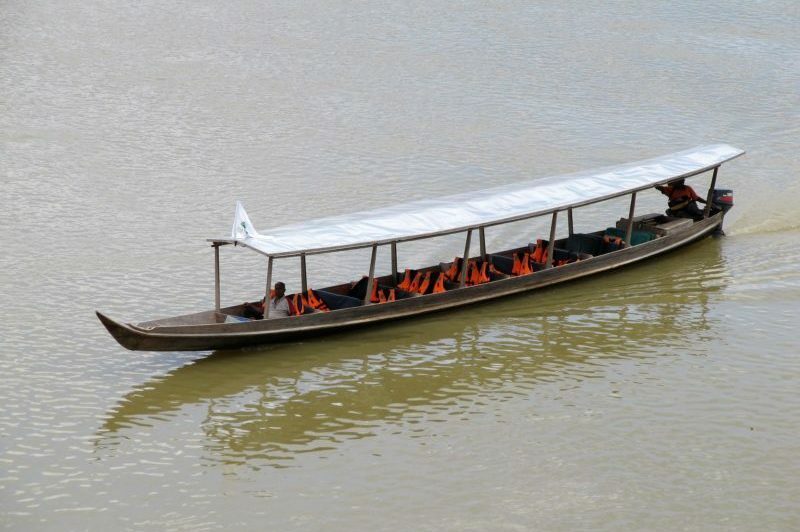 We stayed at the Mutiara Taman Negara Resort which included transport. We spent the time walking around the jungle, including the canopy walkway up in the treetops. I have never heard insects as loud as they were here. 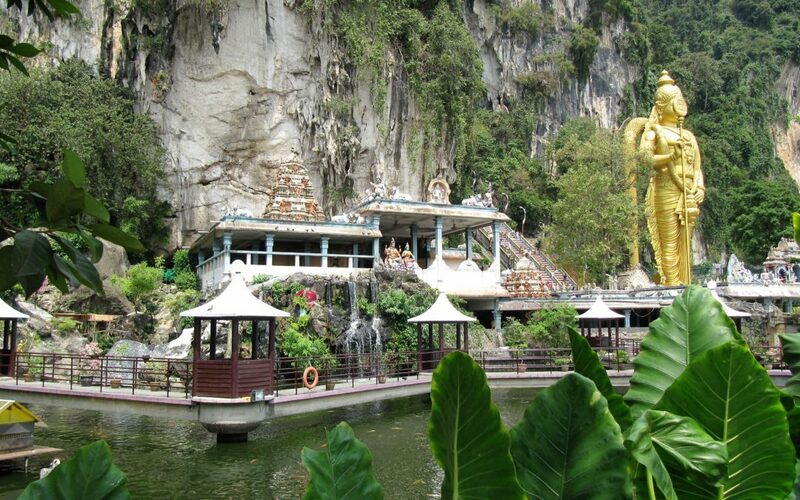 This was a great place to chill out before the more hectic Kuala Lumpur. Resting after a climb in the heat so that I could tackle the rest of the walk. I normally recommend budget activities, but every now and then we splash out. 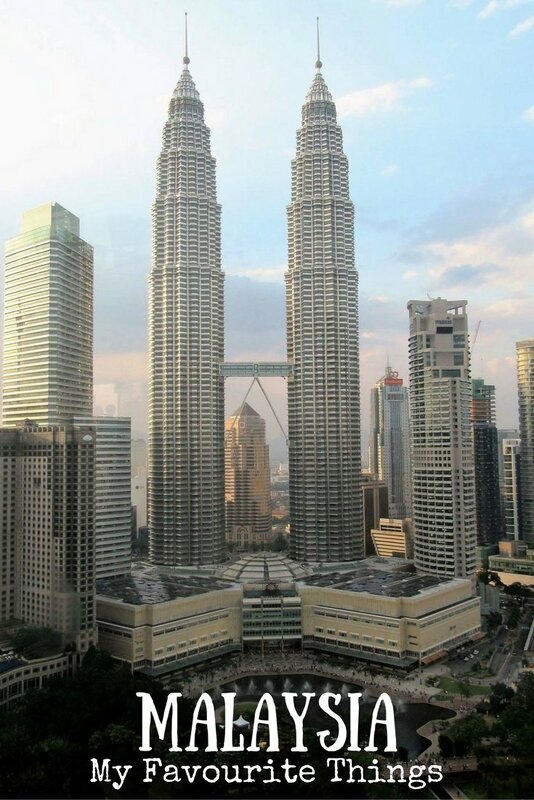 On the night of Simon’s birthday we stayed in five star luxury at Traders Hotel in Kuala Lumpur. 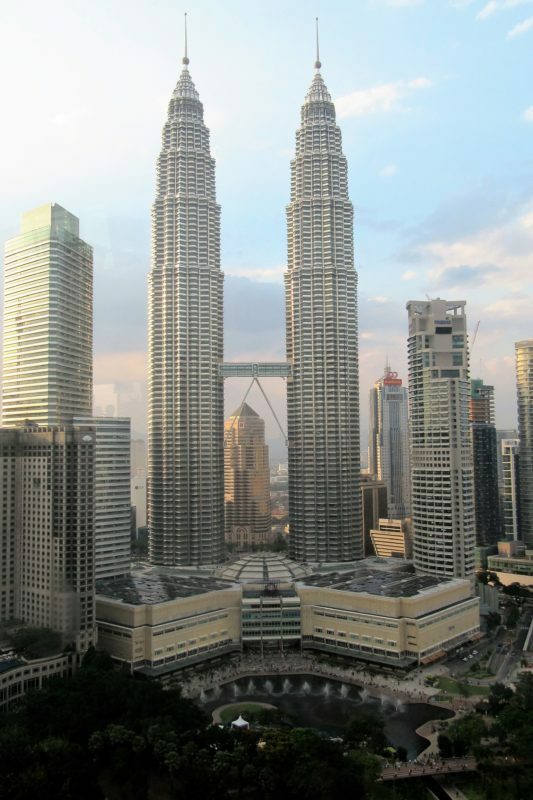 We enjoyed dinner and drinks poolside at the rooftop bar, watching the sun go down on Petronus Towers. 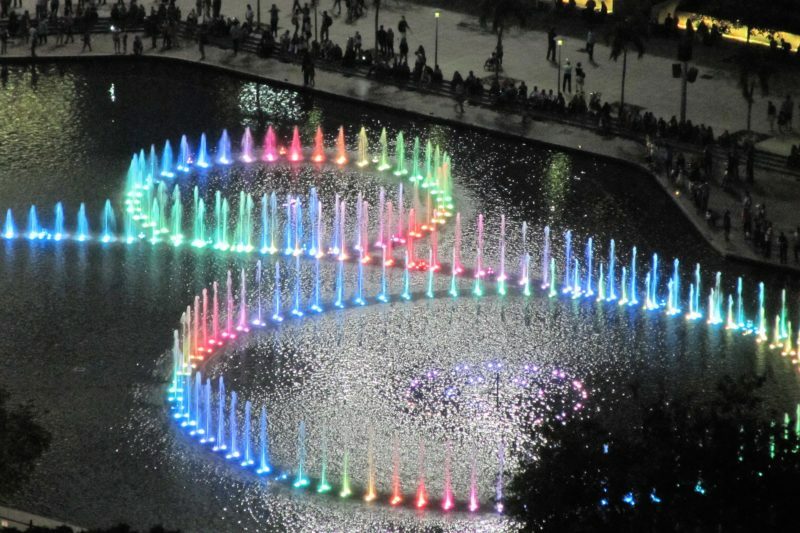 We also got to watch the dancing fountains of Kuala Lumpur City Centre as they lit up in their rainbow colours. I am still to this day wondering how they decorated our room for Simon’s birthday! We checked in and showed them our passports where I assume they got his birthdate from, and only a few minutes later we were escorted up to our room to find balloons with his exact age on them! Amazing service. 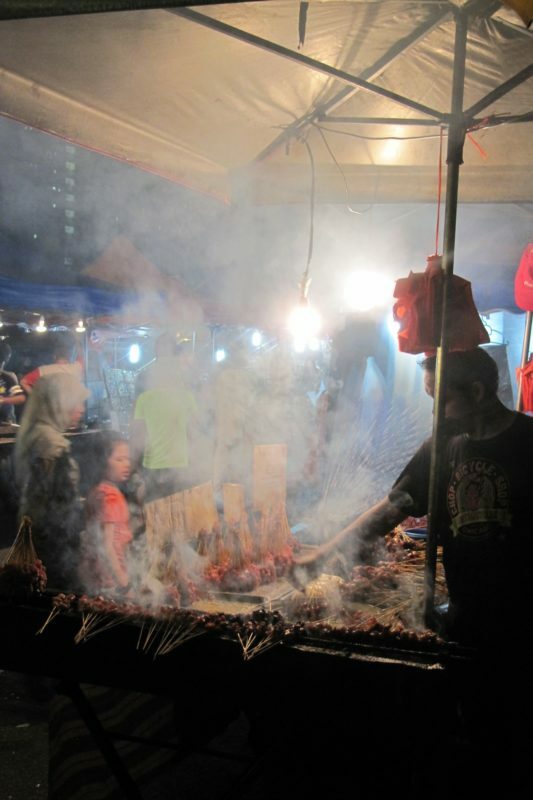 For the best street food in Kuala Lumpur go to Jalan Alor in Bukit Bintang. During the day it’s a normal street, but late afternoon the plastic chairs and tables appear, and gradually the street becomes filled with diners instead of cars. 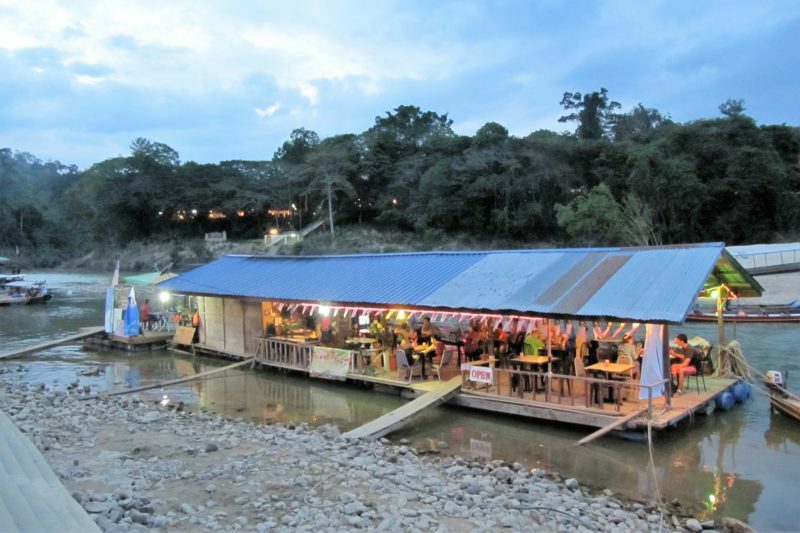 There is a huge variety of food, and you will be able to have a meal for only a few dollars. I always enjoy the atmosphere here as much as the food, and the food is pretty good! 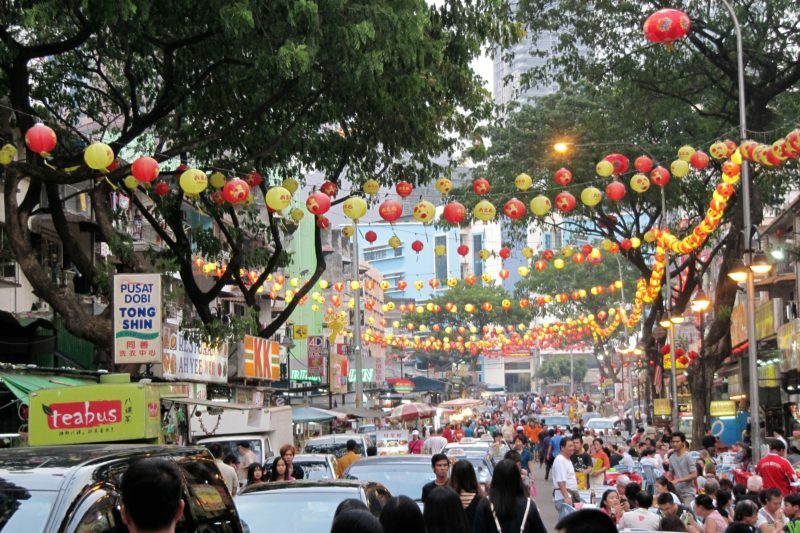 The crowds on Jalan Alor as the tables begin to creep into the street. 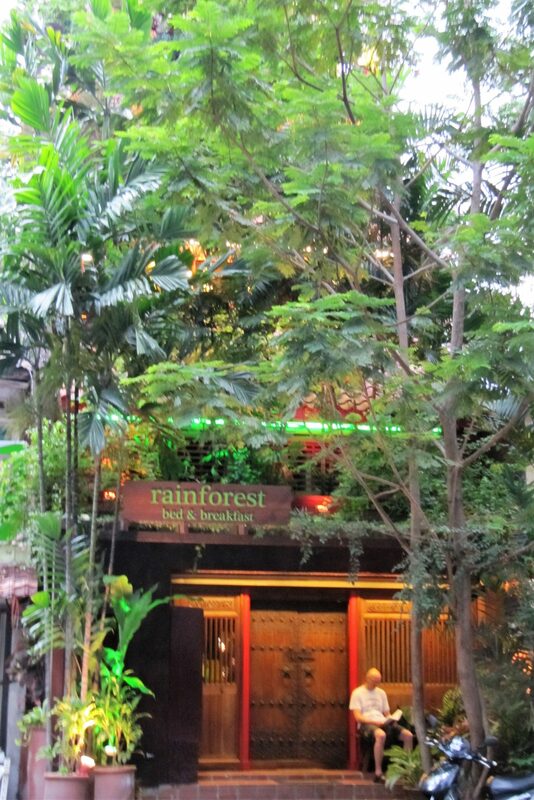 One of our favourite places to stay in Malaysia was the Rainforest Bed and Breakfast in Kuala Lumpur. It’s right in the centre of the city, and like a little oasis. We had a family room and it was huge compared to some of the others we had stayed in. I will always remember sitting downstairs in the lounge area and watching the wedding of Prince William and Kate while we were there. 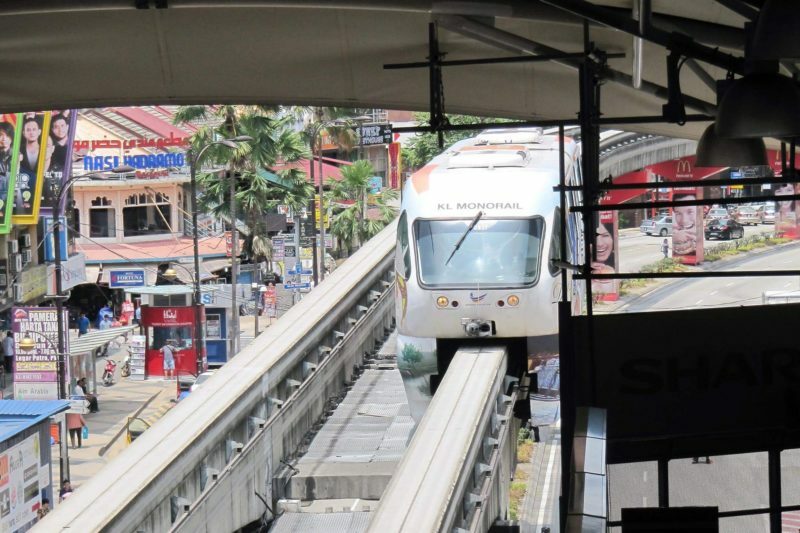 In Kuala Lumpur we usually catch public transport from the airport and around the city. We have previously flown into the LCCT which made it a little more complicated, but now with the opening of KLIA2, I believe this will be much easier. 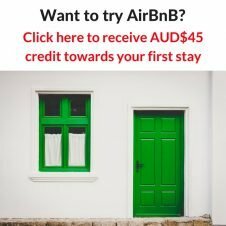 A taxi might be an option for a group of people, but with about a 75 minute ride into town, it’s an expensive option that can be quicker and cheaper on the train. In the city we mostly used the monorail, and regional trains when we went out to Seramban to visit family. All were cheap and easy to use and therefore got us to most places we wanted to go to. Malaysia is a muslim country. In general I don’t even notice it while I am there, but it is always a good idea to be a little sensitive to what you are wearing and how you are behaving. After a seven hour drive to Kota Bahru, in the north east of Malaysia I had forgotten I was wearing a tank top under my jacket and removed it before going into a local shopping centre. While nothing was said, I felt a little self conscious in this conservative area. Especially so since I am also blonde and pale skinned, and really stood out! I am sure we will always go back to Malaysia because we will go to visit relatives. 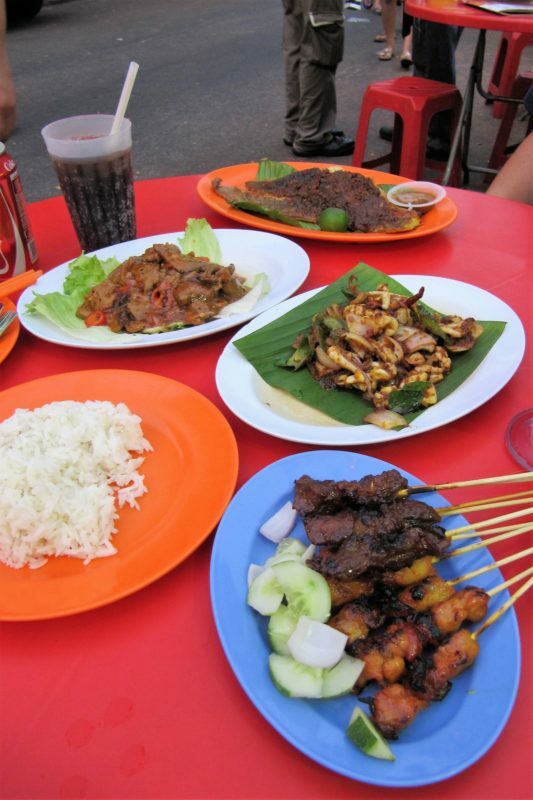 But I think even if we didn’t have people to visit, we would end up back there as a transit stop, just so Simon could eat chicken satays, Malaysian style! Sounds lovely. I especially like the elephant experience. Must go back one day. We stopped for a couple of port visits in KL and Georgetown. Just enough to get a taste. Thanks Pete. 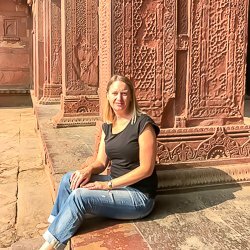 I feel like I have learnt so much travelling since our first trip to Malaysia that I need to go back to those same places again to see them with different eyes! 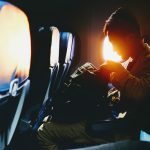 Great post with lovely photos. And I Really like the shot of the Tapir. I’ve yet to see one face to face. Thank you Carol. The tapir was really cool. We weren’t expecting to see that right in the middle of the resort. We did see him again a bit later, and he was eating what I assume was scraps from the kitchen, like watermelon and other fruit left-overs. I guess that’s how they keep him coming back! 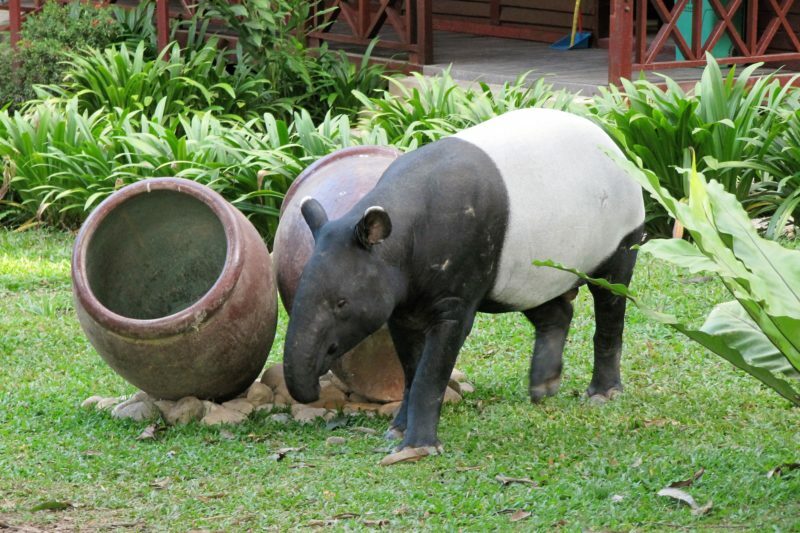 You were so lucky to see a real life tapir in Taman Negara! 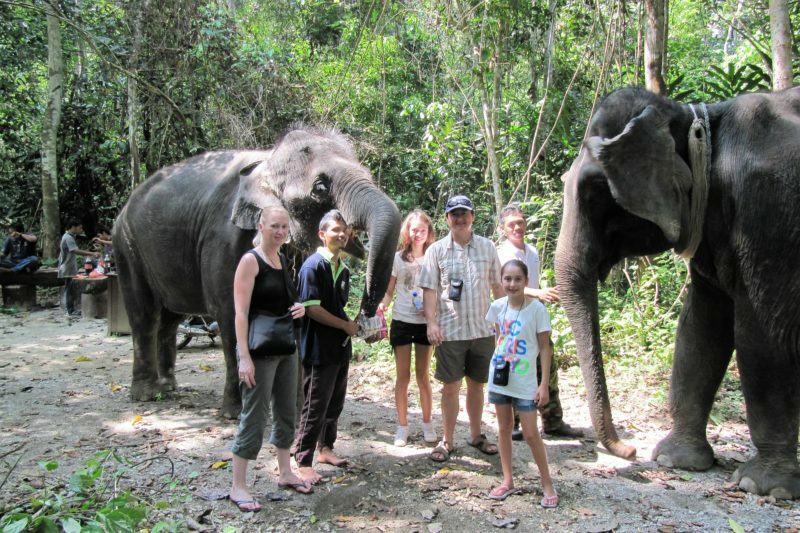 On my last trip, I only saw elephant footprints and wild boars. Thanks Danial. We were lucky because the resort obviously fed the tapir so it came there regularly.